Please understand that the mention of 'God' on this website and in my books is not a religious reference. Spiritual beliefs are contrary to many structured religious teachings. If you find the word 'God' uncomfortable, please substitute this with 'Life' or 'Love' because truly they are all one and the same. It can take time to understand what spirituality really is. Certainly our conditioning hasn't encouraged the understanding of vital truths. And these truths are: we've always been creating our own reality. Our salvation has never been 'something outside of ourselves' - this responsibility and connection to life comes from within. Structured religion has created huge DNA (genetic memory) wounds to the entire human race. In addition these establishments have defiled women's sexuality and femininity. Women have been portrayed by religions as sinful and temptresses. Religion taught men to distrust females and keep them controlled and subservient. Over the ages women have had moral and civil rights stripped from them, been persecuted, maimed and severely physically and sexually abused. The violation to women through the cultures and over the course of time has been horrific. There are cultures where these atrocities still take place. Through this conditioning, men have traditionally lost a great deal of respect for females, learnt to disconnect from them, mentally alienated them as a result of being 'over-emotional', and objectified them sexually, rather than connect to the intimate warmth and love of their souls - which is what they, from the time they are children, have always sought. Men want love just as much as women do. Structured religion has created great disharmony within Love! We've all been the product of generations of emotional disconnection. Our outer based religions taught us the answers to life lie outside of ourselves. We experienced a great deal of shame and guilt by absorbing belief systems such as 'we're unworthy sinners' and have to act and be a certain way to receive 'God's approval' - man-made versions of conditional love. We were taught we probably didn't deserve the things we wanted and weren't good enough in God's eyes to receive them. We were told that we had no right to know or believe our wisdom within. We were robbed of worthiness and deservedness. These outer-based religions created entire societies and generations of co-dependents - losing all faith in ourselves and seeking answers from the outside. Why on earth would we go to ourselves for happiness? After all weren't we no-good sinners? Who'd want to retreat to an inner place of guilt and shame? Obviously these systems taught us that it's up to conditions outside of us to provide solutions, directions and happiness because what was on the inside was morally inept. This myth is logically ineffective and totally ridiculous. We have no control over situations outside of ourselves. We can't think for another person and have no ability or right to control their decisions or behaviour. Inevitably, basing our happiness on another person to provide it for us is self-defeating. Life and other people can't live up to what we want them to be or do to keep us safe, secure and happy. This convoluted system of external-based expectations was always going to leave us angry, empty, grief-stricken and damaged. The most damaged, fearful and destructive people are those who are the most disconnected from themselves. These people are lost, anxious, fearful and angry. They are constantly trying to grab things outside of themselves to stop the inner pain and survive. They feel empty and are tortured with shame, pain and guilt. Why? Because they've lost themselves and have no idea that their true self is a glorious complete being whose natural state feels and knows peace, love and contentment. Centuries of religious separatism DNA running through our systems, dictates making conditions of life and other people's behaviour "about us". We've taken on beliefs and pain from external sources which have absolutely nothing to do with our true selves. We hand our power over to these external sources and become victims. We forget how to understand our emotions which always let us know whether or not we're living our soul truth, and focus on trying to change and fix situations and people to make us happy and safe. We keep ourselves attached to and enmeshed in pain. Religion would have us believe that we are by nature carnal and if left to our own devices will automatically do the wrong thing. This dictates that religion needs to tell us what to do, who to be and what to believe. Religion is the ultimate example of conditional love. This equates to control which is the exact opposite of the truth of our soul - which is free, unconditionally loving and limitless. Because limitation is not easily accepted by humankind, religion has used fear tactics such as guilt, shame and damnation to exercise this control. It's this separatism (exercising of conditions and superiority) narcissism that's created the fear and inner emptiness that's been responsible for the destruction within individuals and relationships, and between races and opposing religions. The truth is: any individual who works on spiritual self-development takes responsibility for their life and connects with the language of their soul. Then they automatically become a loving, expansive, healthy, happy and inspirational being who serves others in loving and inspiring ways. If we're 'at one' with ourselves, we are complete and 'at one' with the world. There's no need to take, harm, control, pillage or rob. To change the planet into wholeness, individuals need to reclaim wholeness. This is where it begins and ends. This is the only way to create and sustain healthy and loving relationships with ourselves, others and life. When we learn about the 'God within' we know ourselves as gorgeous, all-loving and Divine beings. We acknowledge ourselves as a miracle and shamelessly love and embrace ourselves. We lose the guilt, fear and lack of deservedness. Then and only then, can we learn how to provide our own happiness. Then, and only then can we honour ourselves and make decisions and choices based on the truth of our soul which has always been love, success, happiness, glorious relationships and pure abundance. When we are being these states we simply have to share it with others!! The new world that's emerging in the Aquarian Age is screaming out for internal acknowledgement and self-empowerment. Finally the greater community is being exposed to the truth of life, and there are many messengers on the planet who are powerfully getting this message across. We now have the ability to end the disconnection from ourselves, others and life and end the pain. 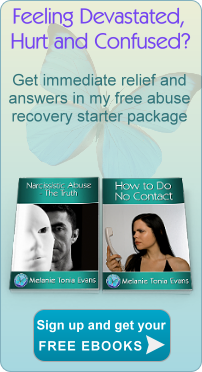 2 ebooks that provide the vital first steps to get your recovery started. An invitation to experience my healing method in a 2 hour Webinar. 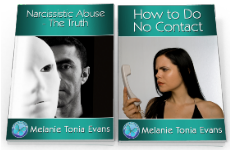 A video that explains the 4 things that changed everything I knew about abuse recovery.